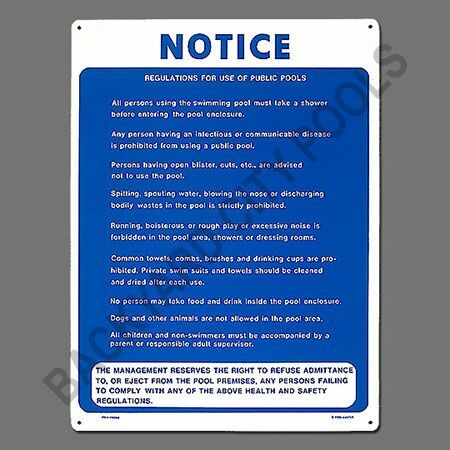 Any person having an infectious or communicable disease is prohibited from using a public pool. Persons having open blister, cuts, etc. are advised not to use the pool. Running, boisterous or rough play or excessive noise is forbidden in the pool area, showers or dressing rooms. Common towels, combs, brushes and drinking cups are prohibited. Private swim suits and towels should be cleaned and dried after each use. All children and non-swimmers must be accompanied by a parent or responsible adult supervisor.